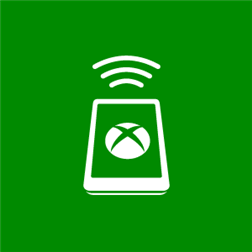 Xbox SmartGlass is now available for Windows Phone! It comes to us via an update to Xbox companion. Xbox SmartGlass lets your Windows Phone work with your Xbox 360 console to bring rich, interactive experiences and unique content about what you’re watching or playing, right to the device that’s already in your hand. Interact with your favorite TV shows, movies, music, sports, and games, and bring remote control to a whole new level. Written by: Hyde13 on October 25, 2012. The update didn’t show up on my market place as “Update available. I searched for Smart Glass and it told me it was not compatible with my device and wouldn’t let me install it. I then went to XBOX and removed Xbox Companion and trying re-installing it through windowsphone.com. After being unsucessfull I received a link on my e-mail and was able to get the app to install. During installation it stated that my phone (HTC HD7) is not compatible with some features. I am really pleased this came to WP7.5. I thought this would be an WP8 exclusive. The IE browsing is really cool and intuitive. This really shows how great smart glass is going to be once all pieces are in place.